PCUM BEN is a very important occasion for the Cambodian Buddhists. They come together at the Temple to commemorate their ancestors.. 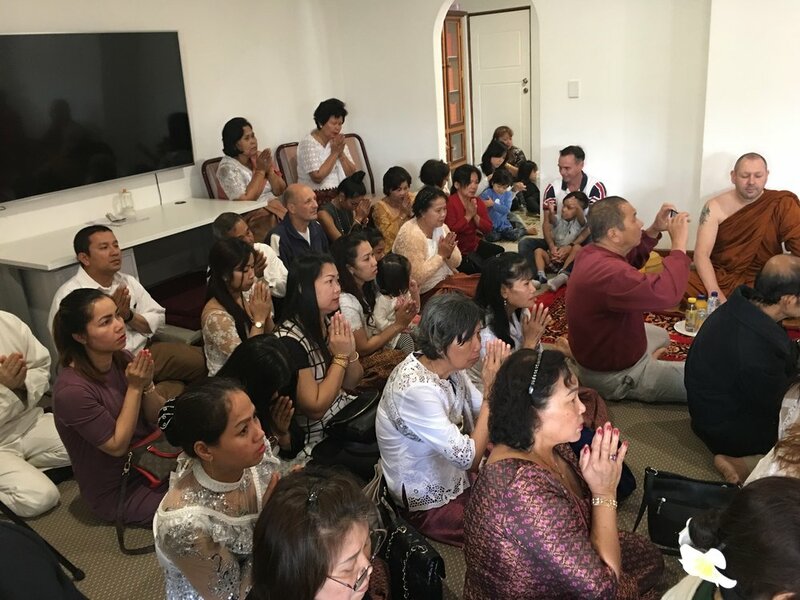 This year we were delighted to have Ajahn Brahm at our Pchum Ben celebration. It was very kind of him to take time out from his busy schedule to grace our ceremony with his presence, unexpectedly. We are most grateful for his generous support of our monastery and community. It is a great Blessing to have Ajahn Brahm as our Spiritual Advisor.